Its my Life: How does your garden grow? 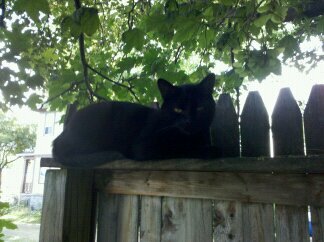 Meet Sparrow, my Garden Guardian. This afternoon I came home to have him perched on the fence for a birds eye view of the garden. 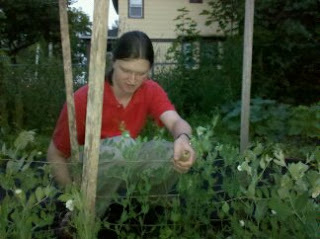 My Greenman and I were in the Garden tonight cleaning up some weeds and tying up our tomato forest and peas. 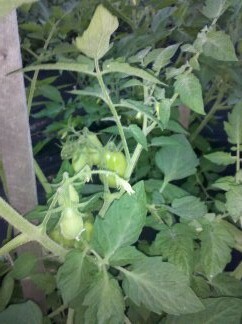 When I say tomato forest we have over 20 plants of all different varieties. They are all flourishing despite our ignoring them! So many of our plants are flowering!! It was cool enough tonight for actual weeding to occur even! 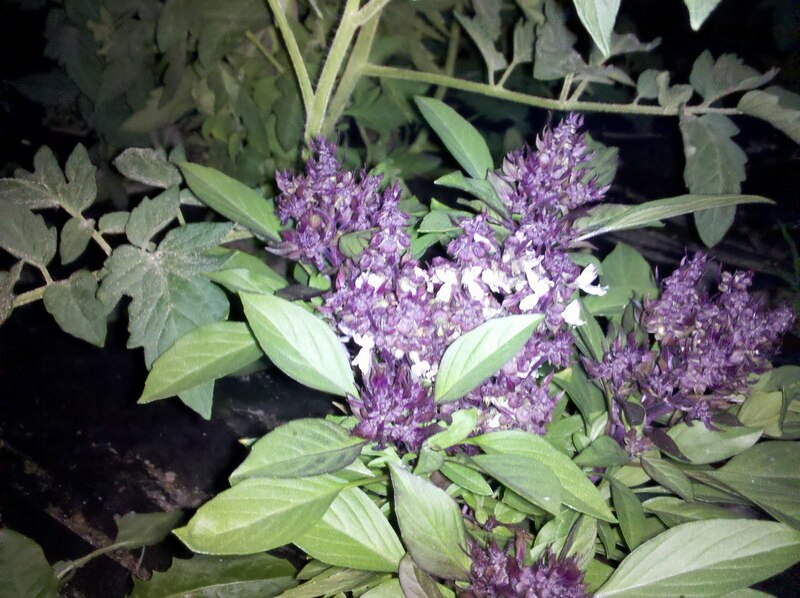 Thai Basil is perfect for Spring/Summer Rolls. We made some the other night when My Greenman and I went to see Rochester's Shakespeare in the Park! (Othello this year and it was AMAZING.) I will share with you this recipe too!! 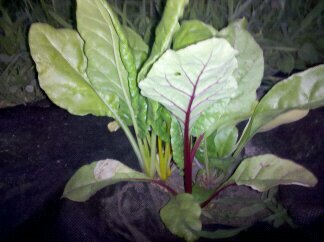 I usually buy sooo much Swiss Chard at the Public Market! I look forward to sharing my Harvest Soup recipe with you... it is sooo Beautiful! I love the multicolored variety and you can already see the red and yellow on these! We started some peppers indoors this year but they have yet to flower. This plant we purchased much smaller at our award winning public market! 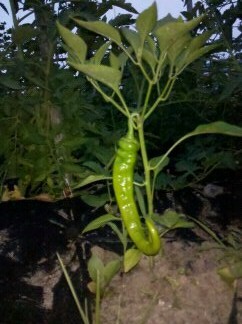 I look forward to using this pepper when I show you my simple salsa recipe! I planted yellow, red, and orange tomatoes this year to have such colorful Salsa! Our Tomato Forest is one of the reasons we are learning to can this year! Oh wow your garden is definitely beautiful. I really love the desert but miss having a garden too dry here unless you are lucky enough to have lots of shade and use lots of water or live up higher where it is cooler. I know it is a trade off with winter snow and humidity. Be safe my dear love and bless you and yours. I am co creating my life with my Greenman, My Lord and Lady, My Daughter and Myself. I am a Healer and a Witch. Hold on to your hats!